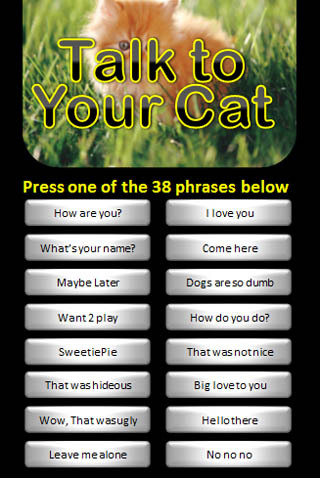 Cat Lingo, the funny cat app, is a fun and entertaining way to talk to your cat. It’s worth the wait (yes, it can load slowly if you have a slower phone). If you like Talking Tom Cat or even Angry Birds, you’ll probably like Cat Lingo. Be sure to check out catlingo or even doglingo at the Google Play or Apple AppStore via the links on the right. We also just added a cat age calculator to check the age of your cat. Check the cat age calculator on the right.